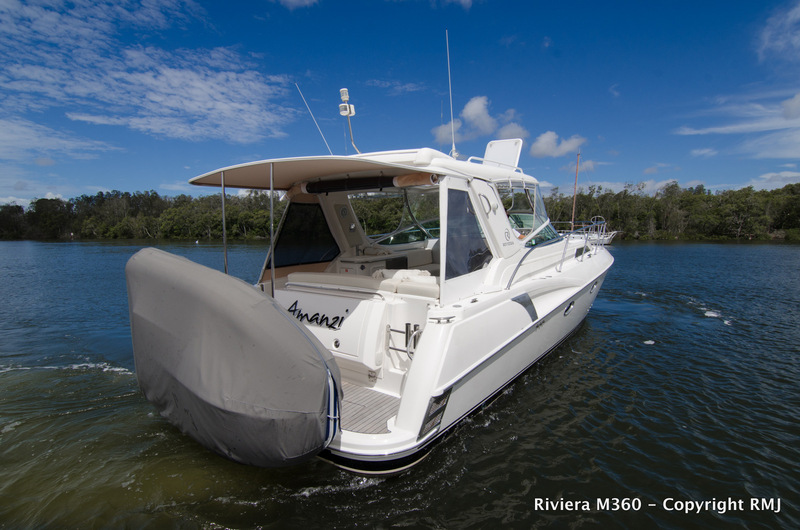 Located at the home of Riviera in Coomera, and exclusively available with our dealership. 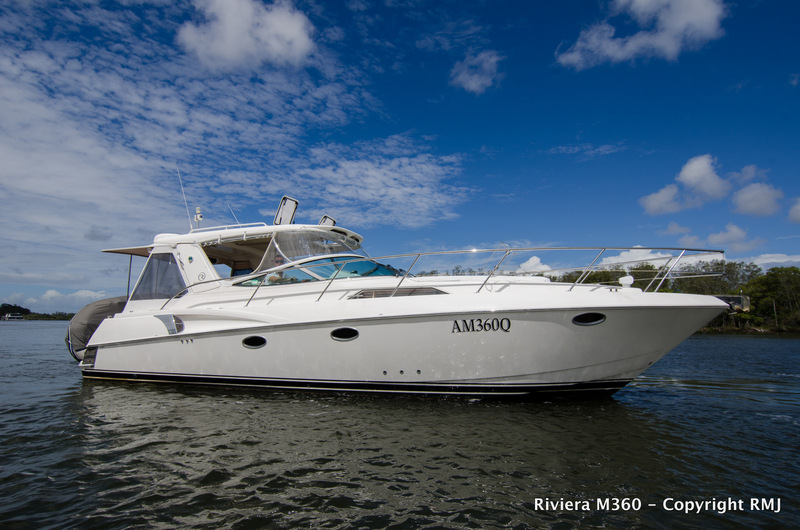 Kept and presented in pristine condition, this is the one you have been waiting for. 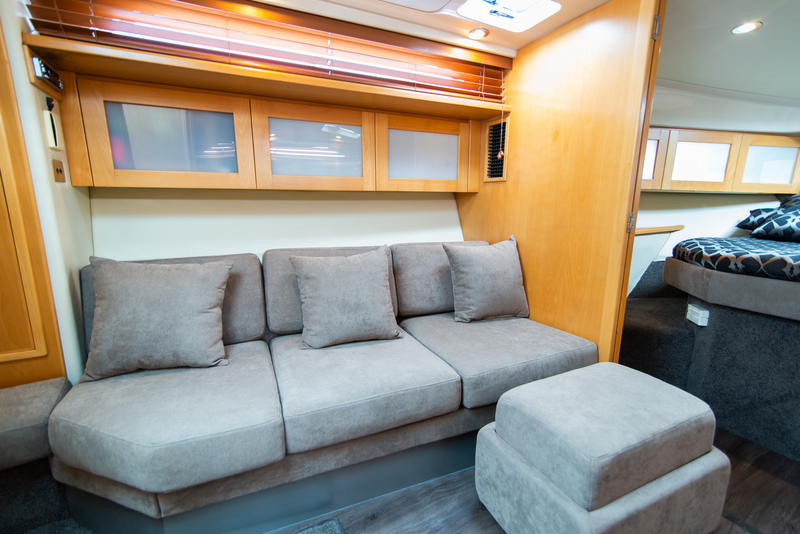 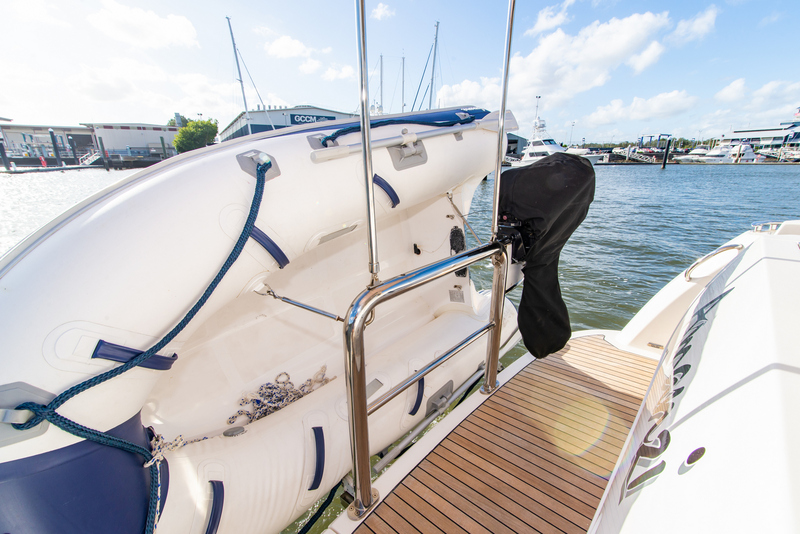 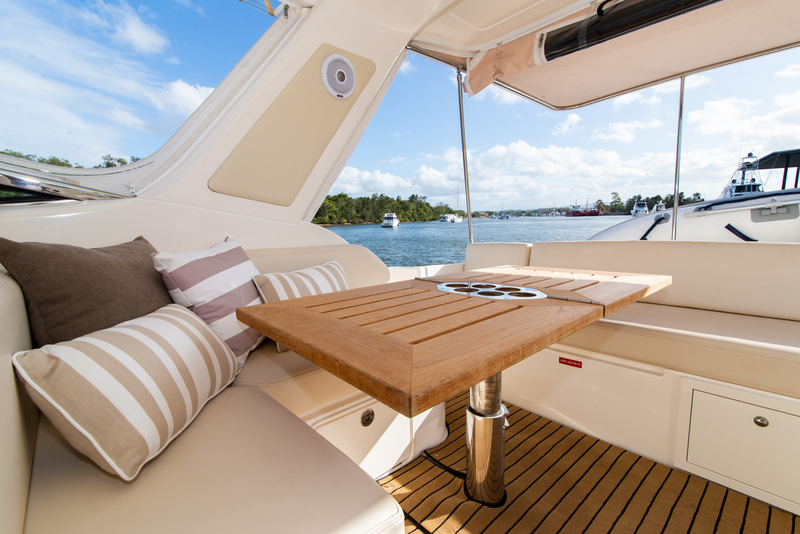 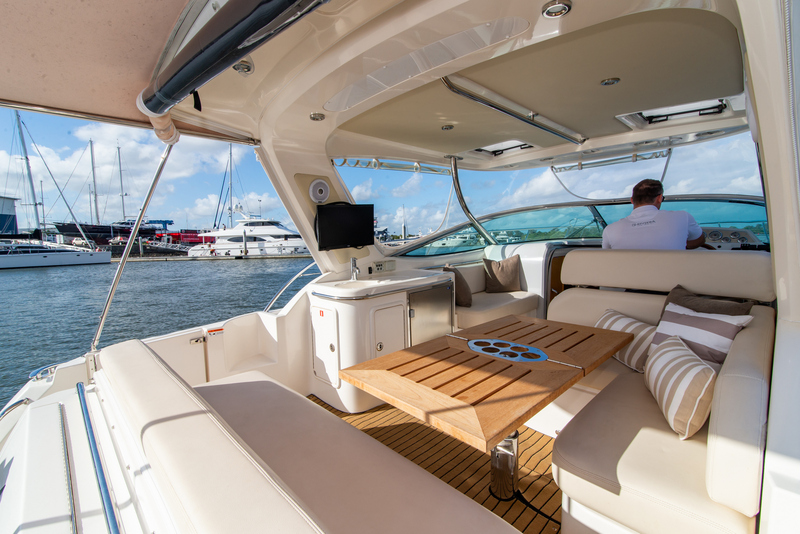 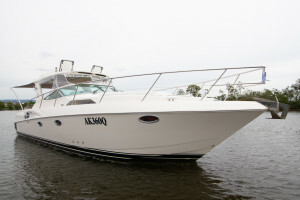 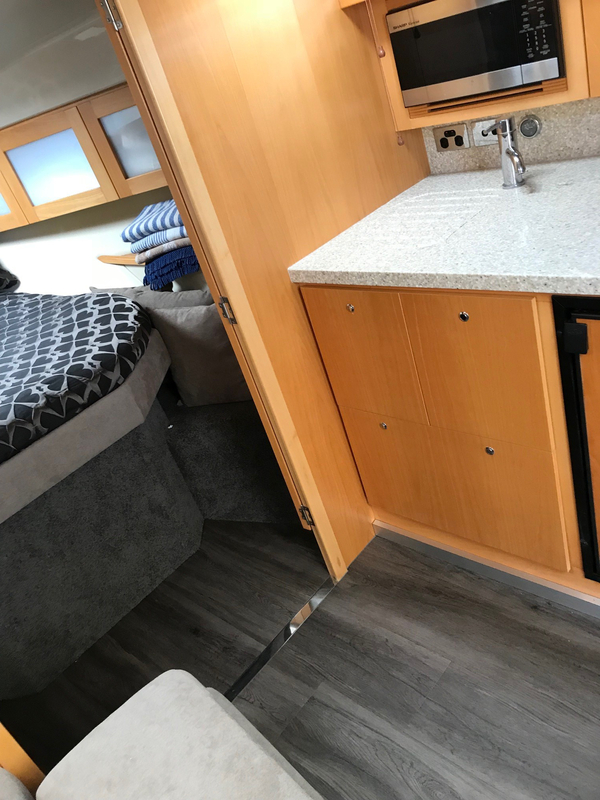 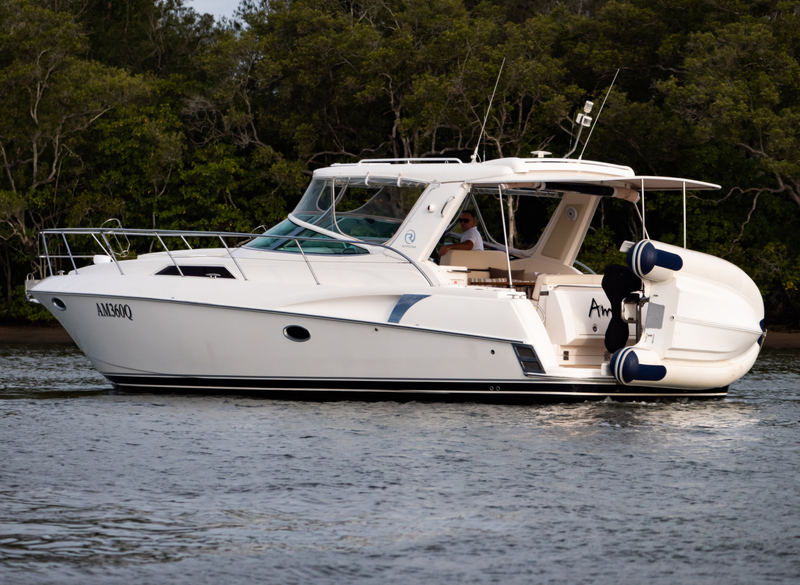 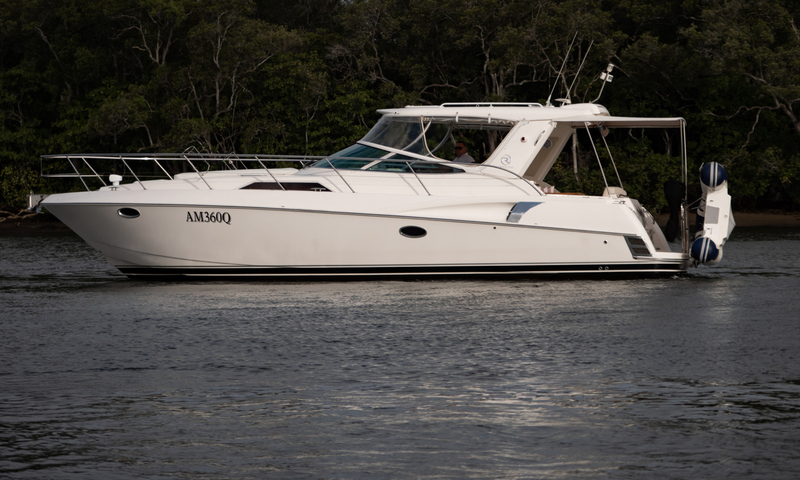 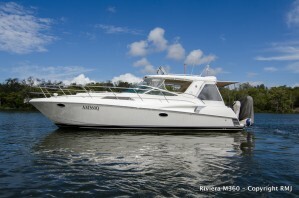 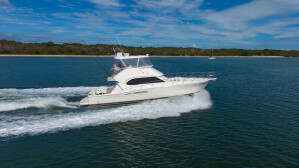 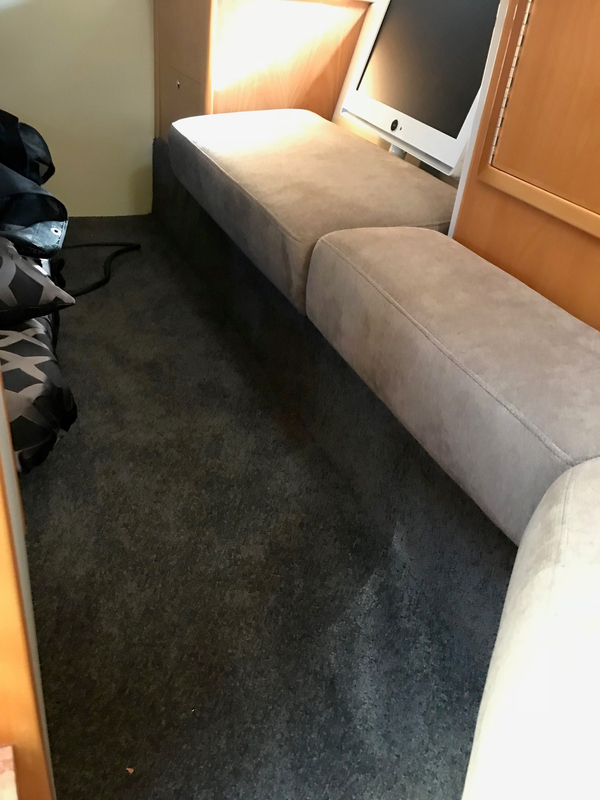 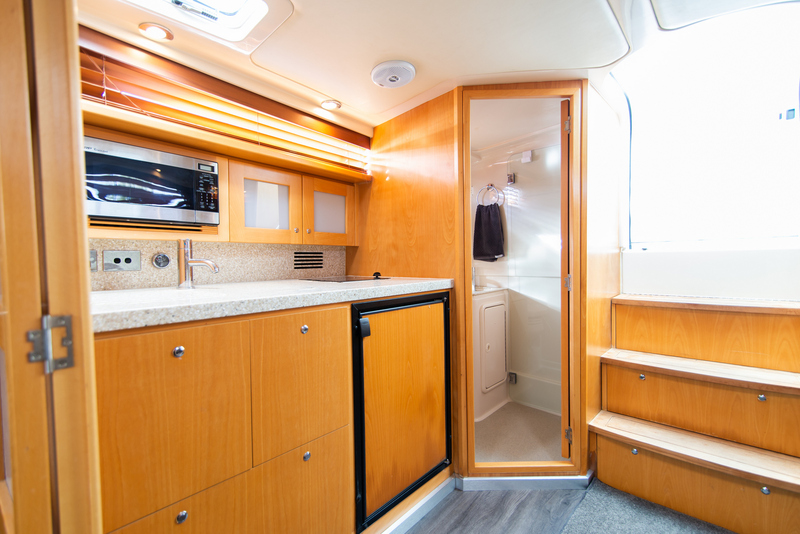 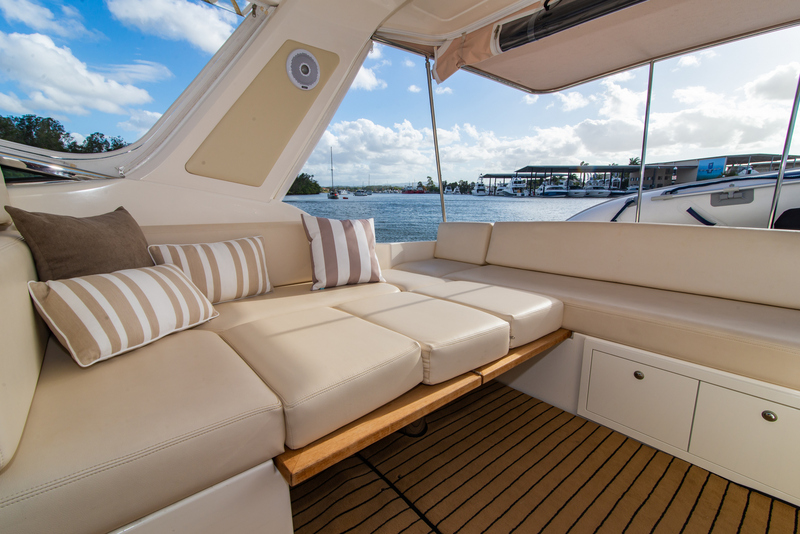 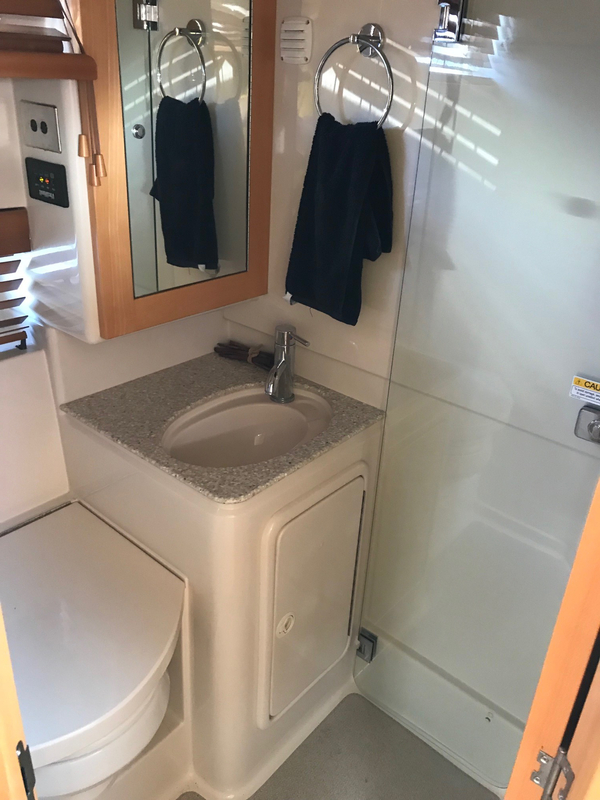 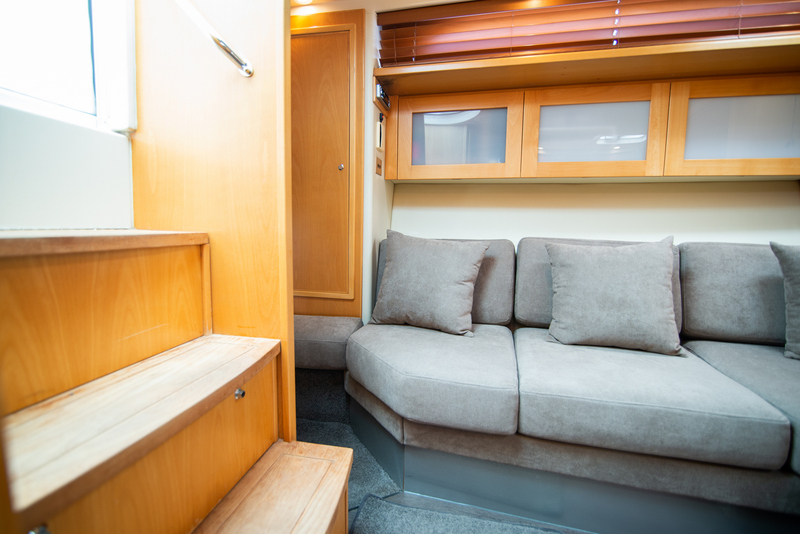 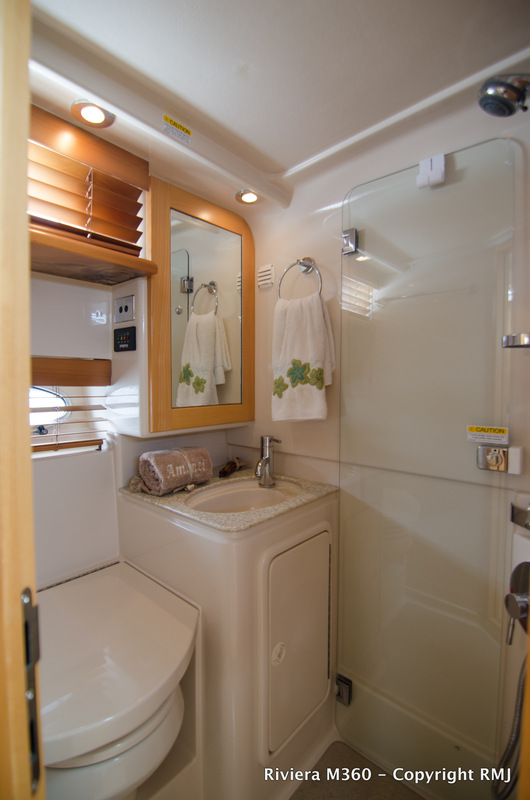 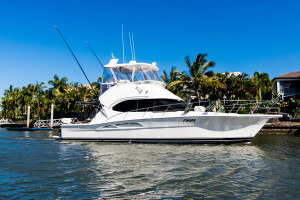 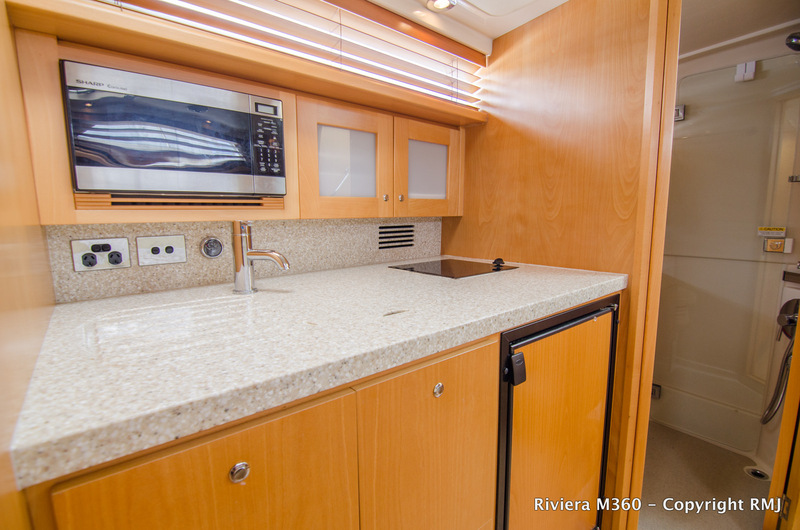 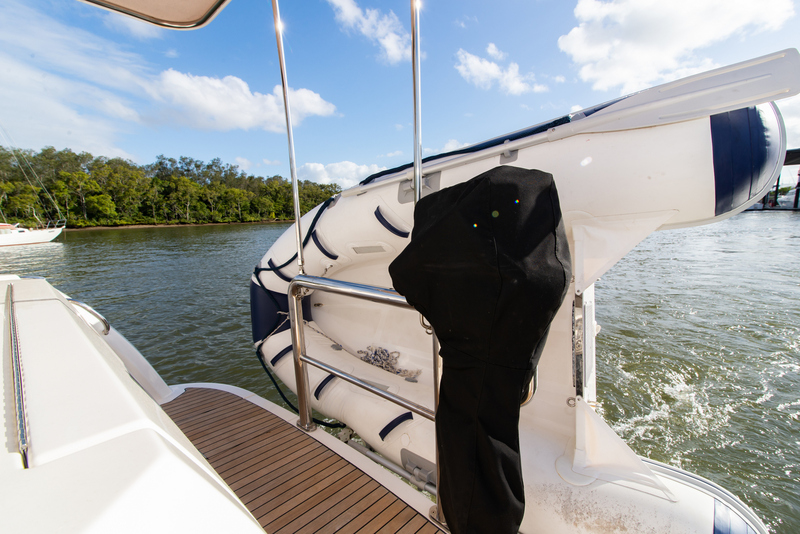 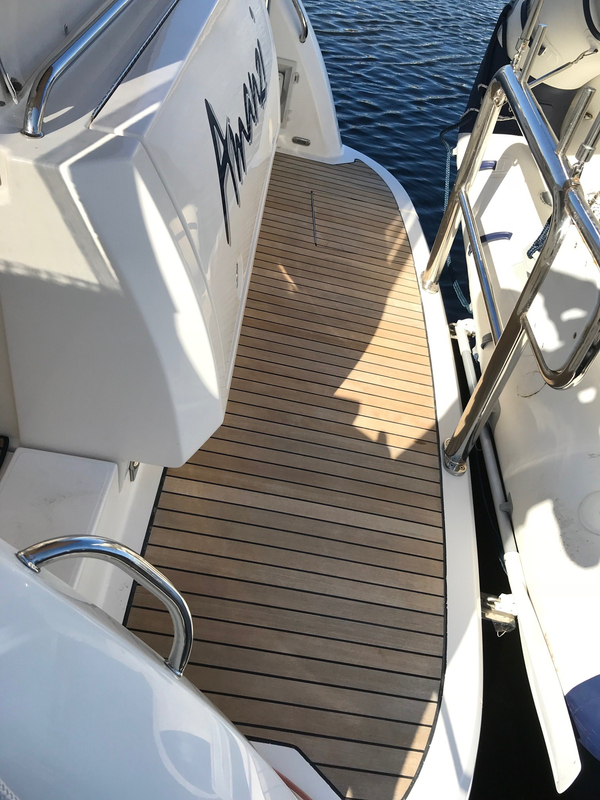 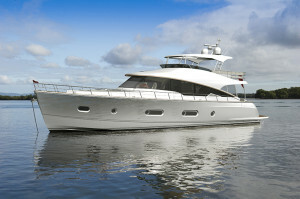 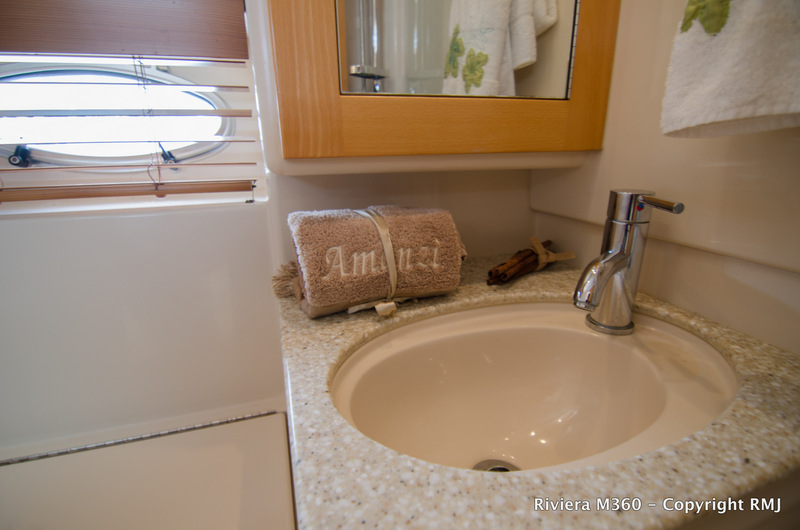 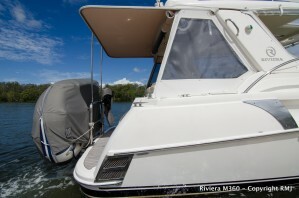 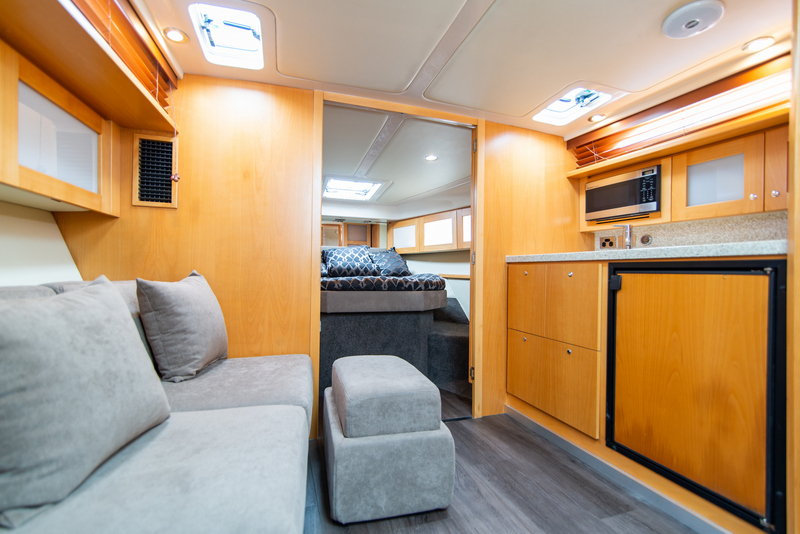 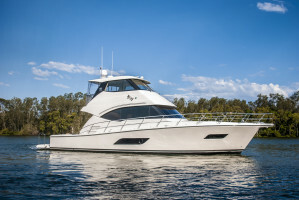 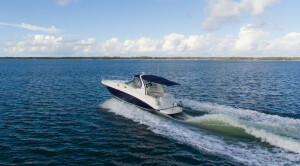 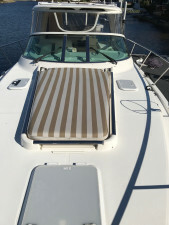 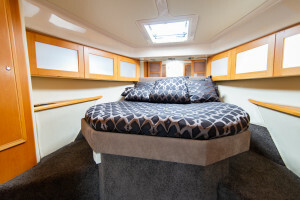 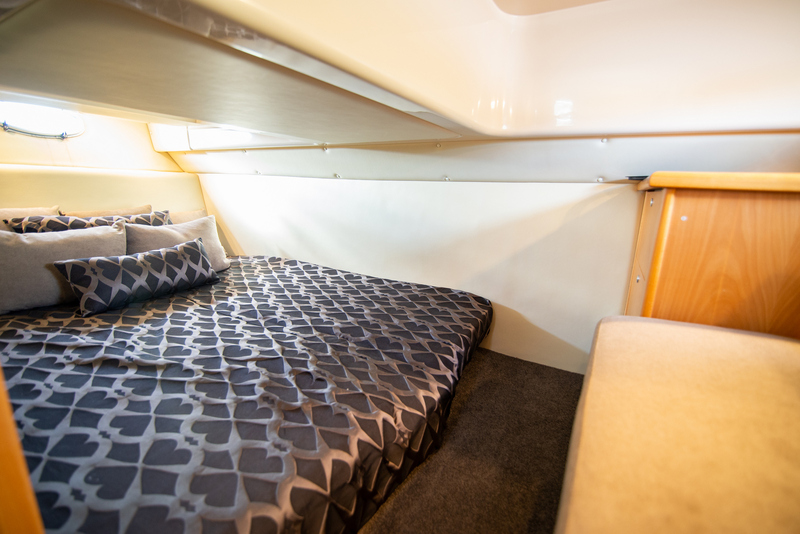 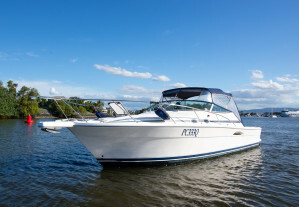 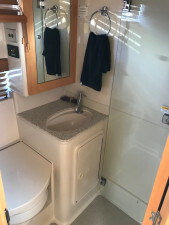 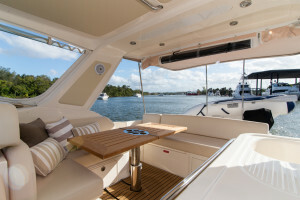 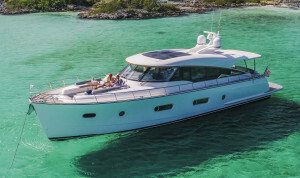 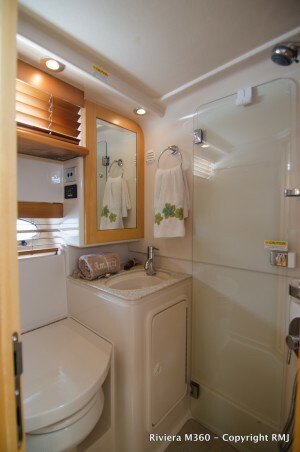 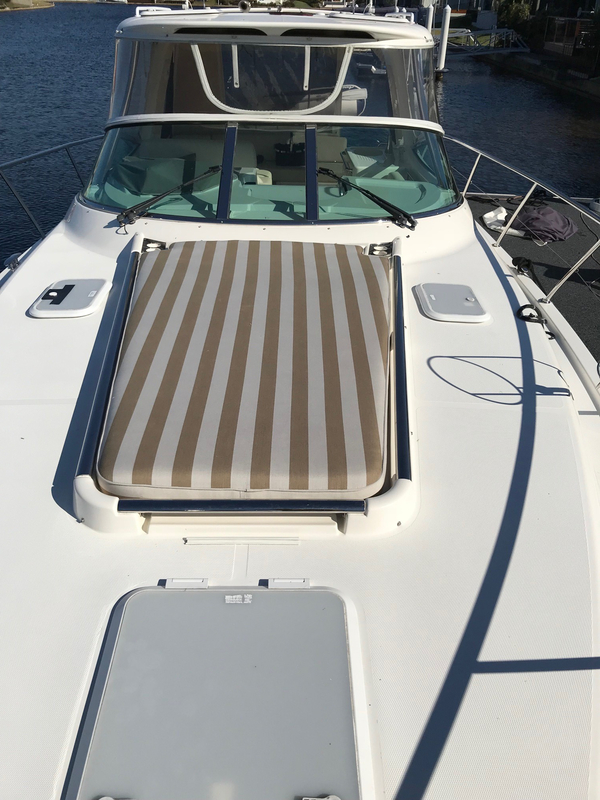 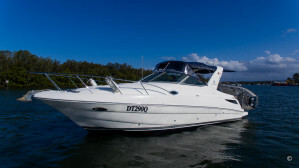 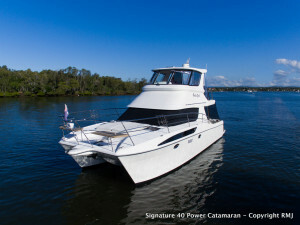 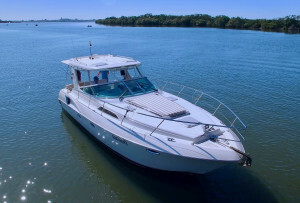 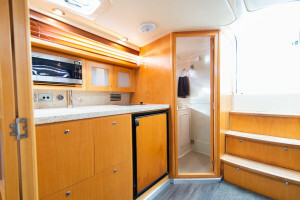 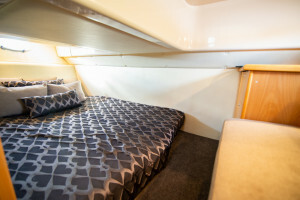 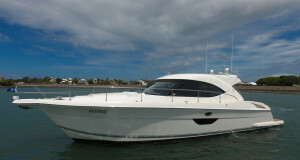 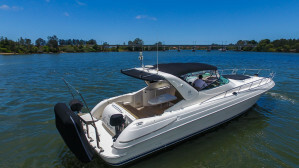 With extended rear awning, updated cockpit upholstery, new vinyl flooring to saloon/galley, new saloon lounge upholstery, new carpet to the lower accommodation this boat is one stunning vessel to step on board. There is nothing to do. 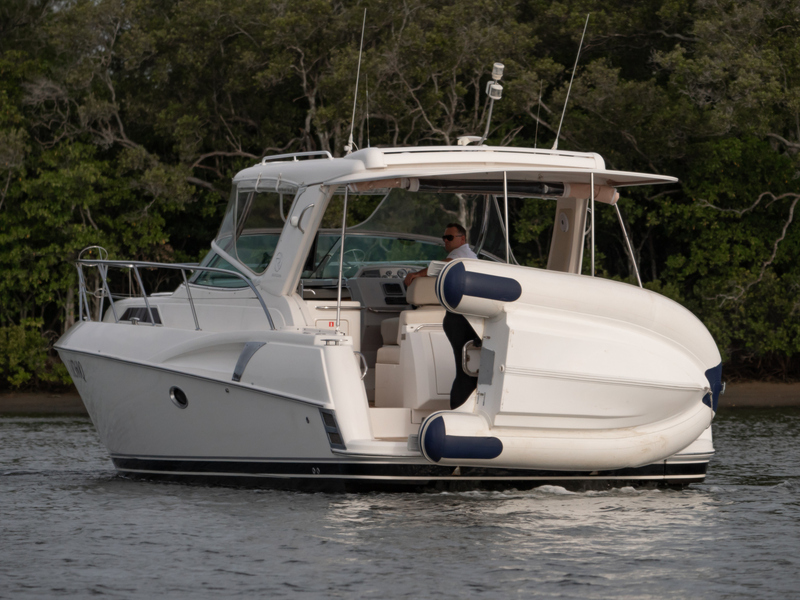 Powered by the Mercruiser 6.2L sterndrives with approximately 500 hours, your docking is assisted with a Side-Power Bow Thruster. 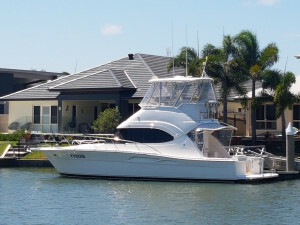 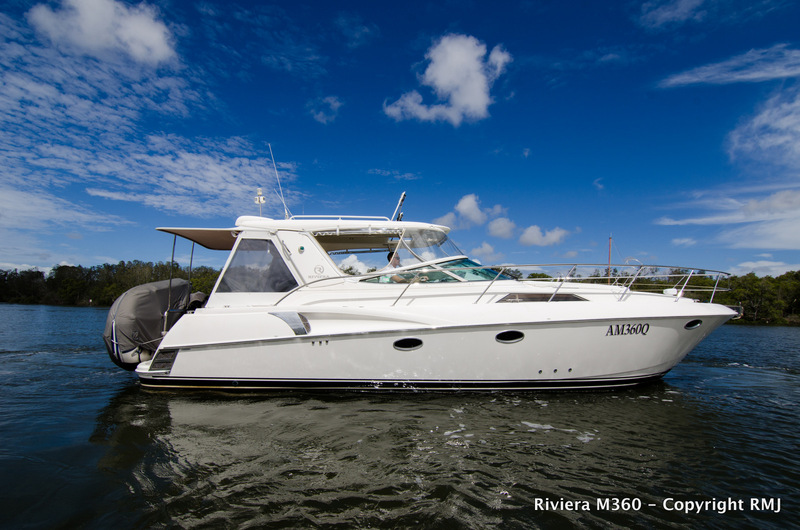 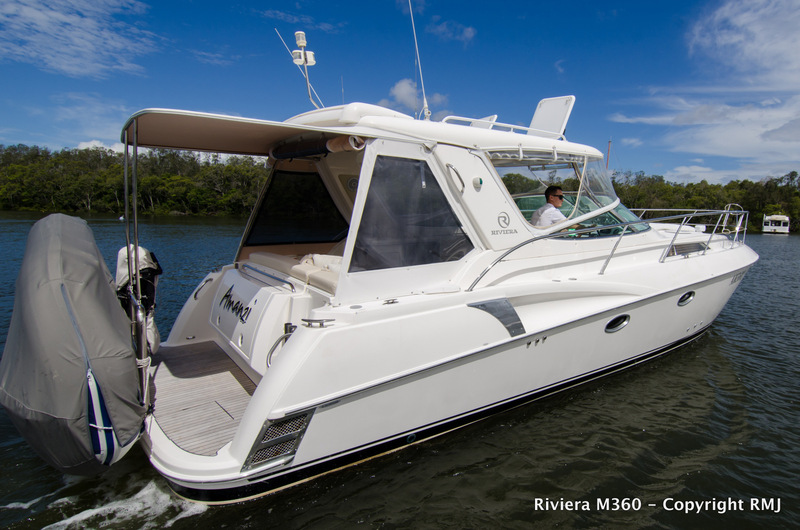 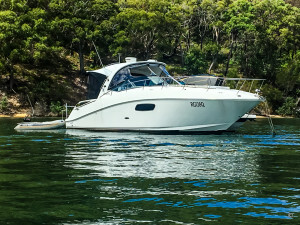 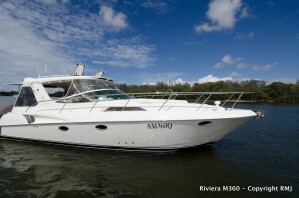 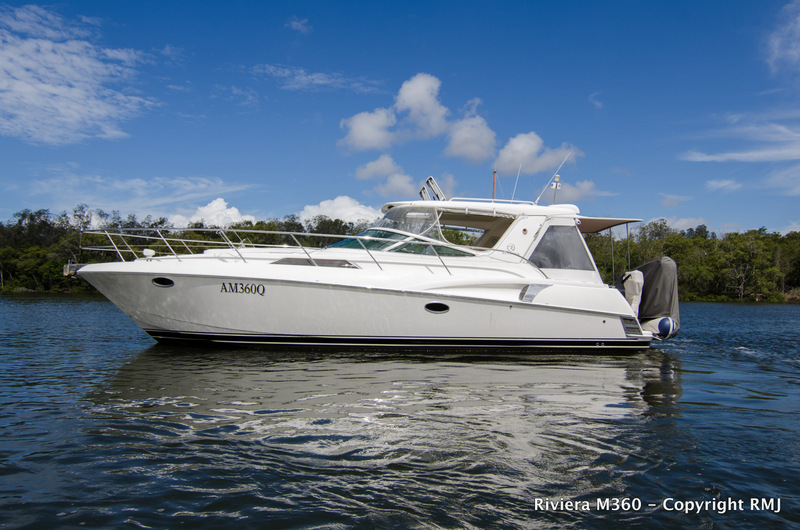 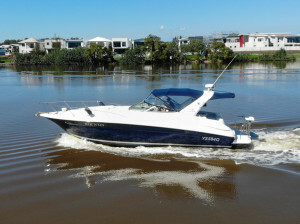 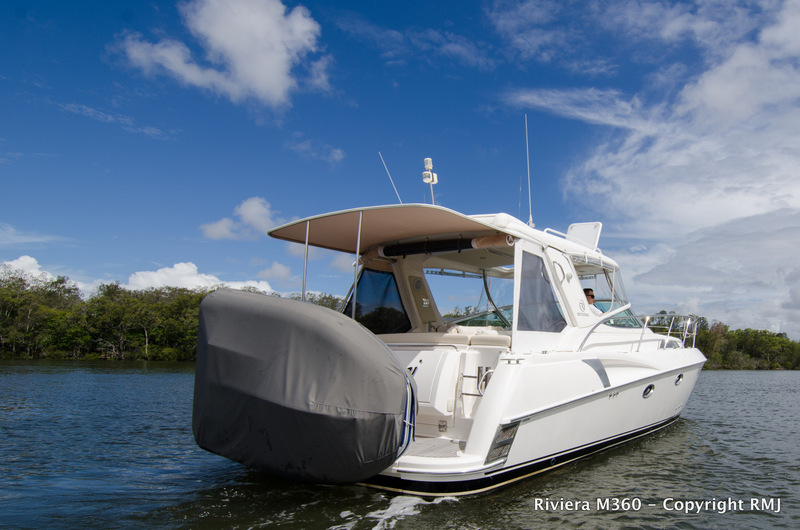 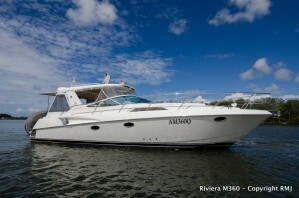 Please contact Troy Hughes on 0417 006093, from the Riviera based brokerage for any further information about this vessel. 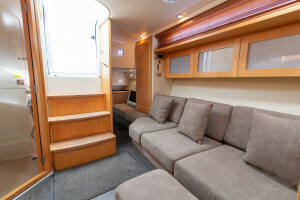 Engine Room : Aft under cockpit lounge, fitted with a hydraulic hatch lifter to save your back! 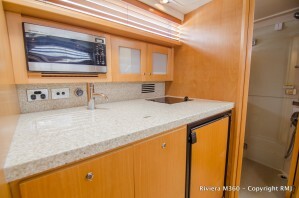 Entertainment and Appliances Notes : Clarion stereo throughout. 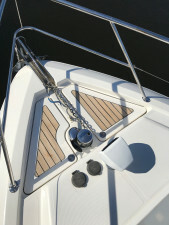 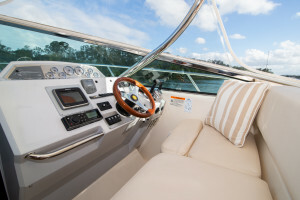 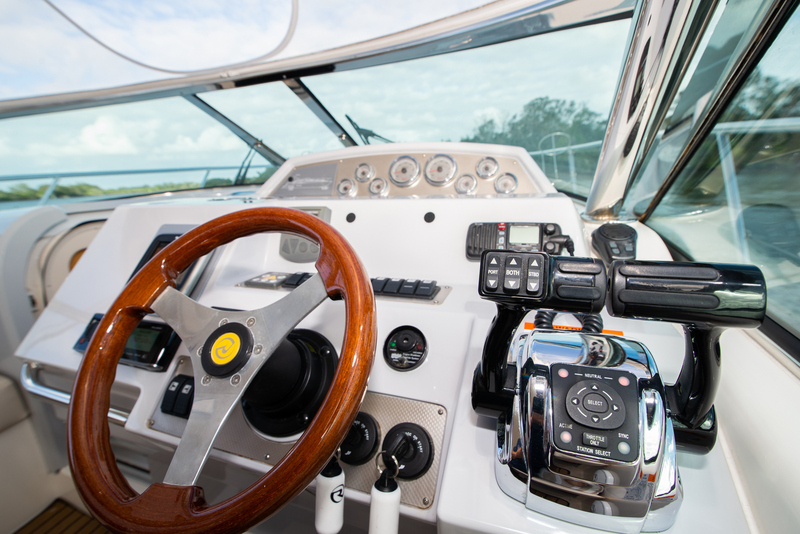 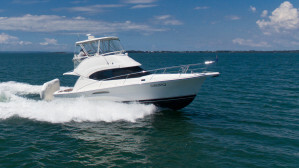 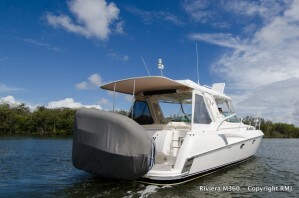 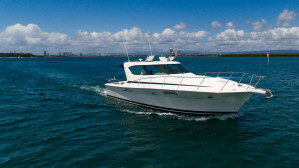 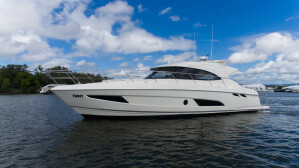 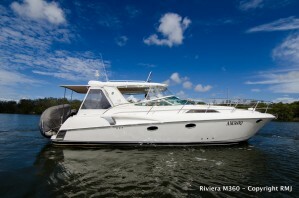 Electronics Navigation : Upgraded Raymarine touch screen, chain counter, bow thruster.